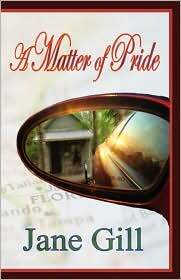 Florida author incorporates the African-American experience and Flagler County history into a story of a successful contemporary woman discovering and ultimately embracing her family roots. Author Jane Gill breathes life into the history of Flagler County, Florida, from an African-American perspective as she presents a tale of one woman’s discovery that her family of potato farmers was not a hindrance to her success, as she had always believed, but her enabler. Twice recognized for her contributions to Doorways Memoirs Magazine as well as being published in The Bridge Magazine, Ms. Gill tackles the unique era we occupy when African-Americans are facing the challenges of being the most successful generation in their history to date in the United States. The rapid rise on the cultural ladder of African-Americans in the U.S. has surprising and challenging emotional ramifications. Jane Gill addresses these challenges through her character Lu Conners as she comes to terms with the death of her father and introduces her children to the struggles that her family faced from the Civil War to present. Born in Saratoga, NY, Jane Gill now resides in Sarasota, FL. She is an NALA Certified Paralegal and serves on the Business Advisory Boards for the State College of Florida and Sarasota County Technical Institute. In her free time, she is a Sea Turtle Patrol Volunteer for Mote Marine Laboratories.